Chronogram congrats go out to Bobby Previte. The drummer and composer has been riding high with the recent release of Terminals (Cantaloupe Music), a suite commissioned for So Percussion, and he’s been enjoying a popular local standing local gig by his Voodoo Orchestra. And now comes the news that Previte has been awarded the 2015 Greenfield Prize for composition. The prestigious grant includes a commission of $30,000 toward a new original work that will be realized within two years. As the winner, Previte also receives residency time at the Hermitage Artist Retreat in Englewood, Florida; a performance by a professional arts organization on the two-year anniversary of the award; and future assistance for performances for the work. 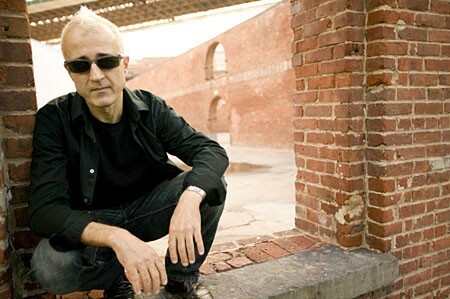 Born in Niagra Falls, Previte studied percussion at the University of Buffalo and beat it down to New York in 1979 to become a key player on the emerging downtown avant-garde scene of the 1980s. He began leading his own bands there in the middle of the decade and moved to the Hudson area in 2012. The Greenfield Prize is awarded in three rotating arts disciplines every spring. In addition to music, the award is also given in drama and visual art. This year’s semi-finalists in music, who will each receive $1000 along with a Hermitage residency, include two other Hudson Valley musician-composers: Woodstock clarinetist Don Byron and Hudson cellist Julia Wolfe. More information about the Hermitage Artist Retreat is on view at http://hermitageartistretreat.org/.